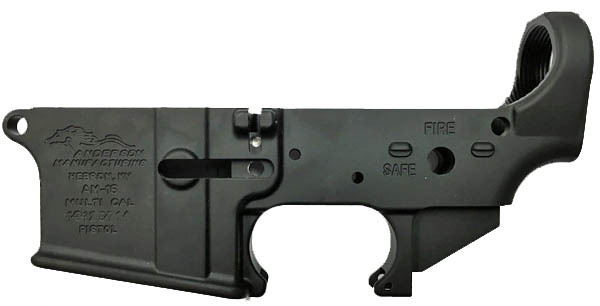 Stripped, Semi-Auto, Lower Receiver delivers Custom Shop quality without the typical Custom Shop price. Perfect Platform for building the Ultimate, Mission-Specific, AR-15 Rifle or Carbine. Made from a high-strength, 7075 T6 aluminum forging for reliable performance and outstanding durability. Mil-Spec, Hard Anodized finish adds extra strength to the receiver walls and delivers superior abrasion-resistance for rugged field use. Precision-machined to ensure drop-in installation of Mil-Spec, aftermarket components.